Like most Nigerians in the UK, I often have to send “small” amounts of money home to help put out “small fires”. Our people know what I mean – School fees increased this term/Landlord increased rent/I knocked down somebody’s “market”/I need to buy a “form” etc. I will would be reviewing 3 “online” services suitable for a £300 transfer from the UK to Nigeria. The money transfer agents were approached and assessed for best exchange rates, lowest transfer fees and transfer time. Here’s how they did. The name is synonymous with international money transfers (and has been for years) so this naturally, was the first port of call. Finding an agent was not a problem, either on the high street, or online. If you prefer dealing face to face with someone, you can use WU’s handy tool for finding agents in your area. Of all the three services reviewed, you would be more likely to find a Western Union agent in close proximity, than either of the other two. Alternatively, you can send money online via Western union. You will need to set up an online account to do this, which involves filling out a form. Process. In store, you will need to fill out a yellow headed “To send money” form, providing yours and the receivers details, as well as a secret question, which only the receiver has the answer to. The process is quite straight forward in my opinion, and only takes a matter of minutes to complete. You will need identification however, if you’re sending anything above £400. Online, you only get the “Money in minutes” option, which attracts a higher charge. You fill out the same simple form online, and pay with your Visa or Mastercard. Nicely presented, professional service with a well presented, informative website. I found the current rates on their website, and on calling customer service to confirm, these rates were live. They only seem however, to have offices in London, with 7 branches, mostly in the South East. Process. Using the very helpful exchange calculator on the website, you can check current rates and charges, eliminating the need to have a phone conversation to obtain this information. Let your rejoicing be short-live though – to obtain the account details and notify them of payment, you will inevitably have to contact them via phone. They also have a handy “live chat” option on the website, and I was connected to a representative, Paulina in 1 minute and 12 seconds. Paulina was very courteous and able to answer all the questions I had within 10 minutes. Transfer time 2 hours. For same day collection in Nigeria, you will have to pay into Global Link’s account by 2pm. Basic, no-nonsense, straight-to-the-point website, that does exactly what it says on the tin. The homepage displays current exchange rates for the 8 African countries served, the local partner banks (Bank PHB for Nigeria) and a calculator for checking exchange rates and charges. The “Find an agent” button on this site wasn’t working at the time of this post, however, the head office addres in Dalston is displayed at the bottom of the page. Process. 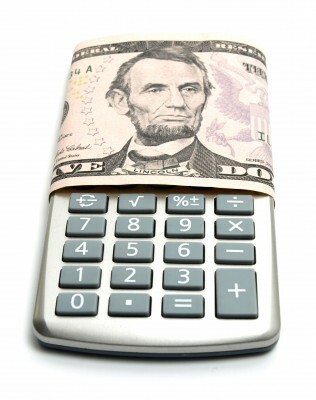 Again, you can calculate the charges and exchange rates using the handy website calculator tool. I noticed that this tool was only available during working hours (9am – 7pm), and again, you will thern need to phone in to obtain bank details and confirm payment. I must say I did have to make several calls before the customer service agent was able to send me the details by e-mail. She might have been having a bad day, I don’t know – but I did begin to get slightly irritable. Transfer time : 2 hours. Provided your payment into their account is confirmed by the close of business for Nigerian banks. Western Union provided the best service for emergencies, especially if a 2-hour time window is long a wait. However, you pay for this by paying more to send a set amount, as the exchange rates are considerably lower than others, and the charges are considerably higher than other. On the positive side, if you had received a phone asking for an urgent transfer to be made, you would be more likely to find a Western Union agent within close proximity. As I wasn’t in this situation, this wasn’t for me. I was more after the best rate, and it wasn’t a matter of urgency, and MoneylineUK privided this for me. Even though the customer service was a little bit shambolic (with a quiver full of apologies), and the charges were £1 higher than Global-Link, they offered to cash out N77,100 for a spend of £15, while Global-Link offered to cash out N76,800 for a spend of £14. Or to put it differently, they charged N250 charge to receive N300 more in Nigeria. This sounded like a bargain to me, so I chose this option. If you’re thick skinned like me, and can tolerate the customer service in order to get the best monetary value, then I would go with MoneylineUK. If however, you want a balance between service location and receiving monetary value, then your best bet is to go with Global Link.